Hopefully, long-term readers of Malt will have realised that blended whisky is well-respected around these parts. Even the Master of the Quaich, Charles MacLean, had stacks of wonderful things to say about blends. I mention Mr MacLean because he also chairs the nosing panel for Wemyss Malts, who created the whisky at the centre of this review. 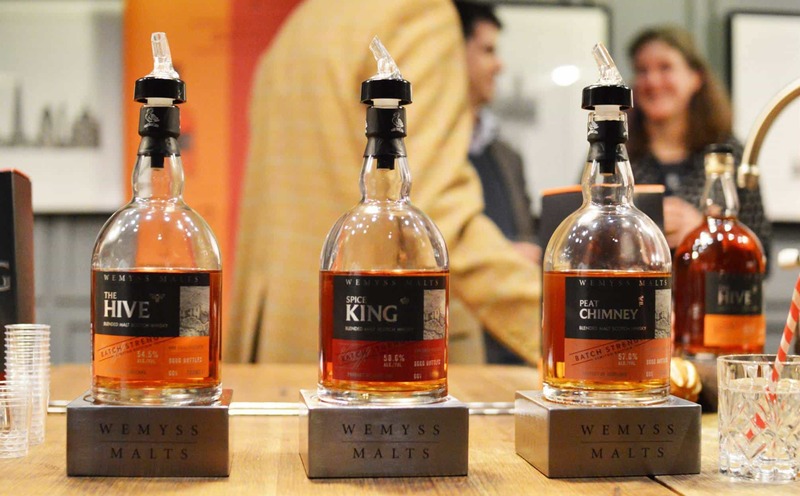 Wemyss Malts have a bit of a cult following among whisky drinkers. 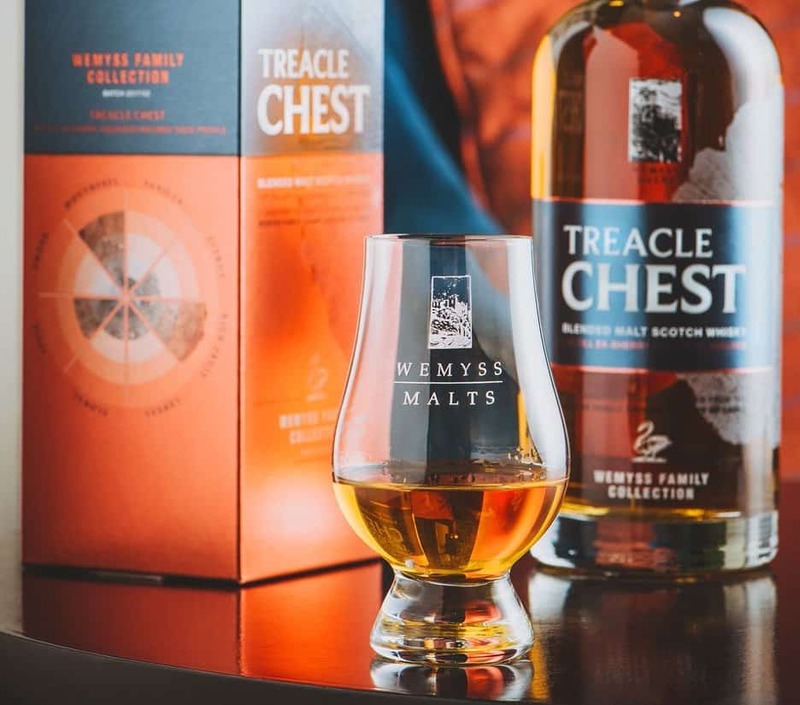 As well as creating tasty single cask whiskies, this independent bottler has put out numerous award-winning blends, such as The Hive and the Spice King. And they’re also building a distillery at Kingsbarns, which is located near St Andrews, and due to open pretty soon. Things are certainly going well for them. Their latest whisky is the Velvet Fig, which is a curious and charming title. It’s the sort of bottle you might imagine some Victorian dandy or roué to be draped over, in a fug of opium smoke whilst losing money at the rouge et noir table. Even without an age statement, the mere words “Velvet Fig” are enough to bring a smile to the pursed lips of even the most jaded whisky drinker. 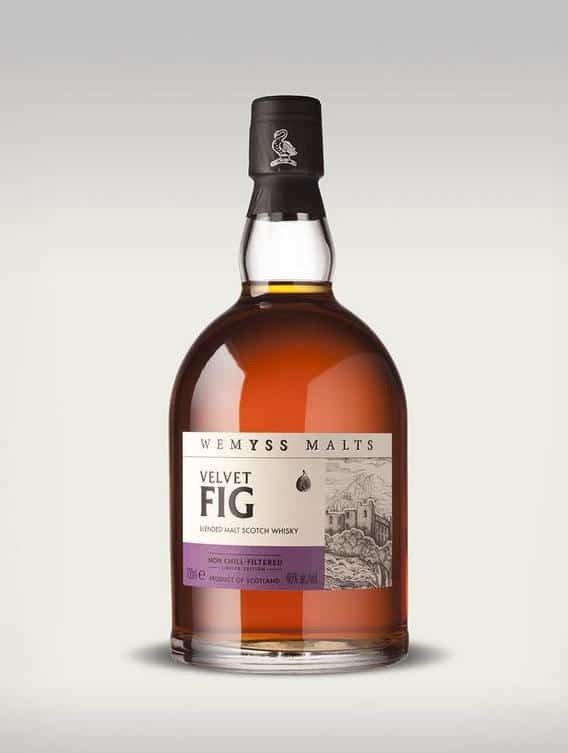 Velvet Fig is a blended malt; which is to say, a blend of single malts from different distilleries, without using grain whisky, as is the way with general blended Scotch. This used to be known as a vatted malt before the Scotch Whisky Regulations 2009 put an end to all that. 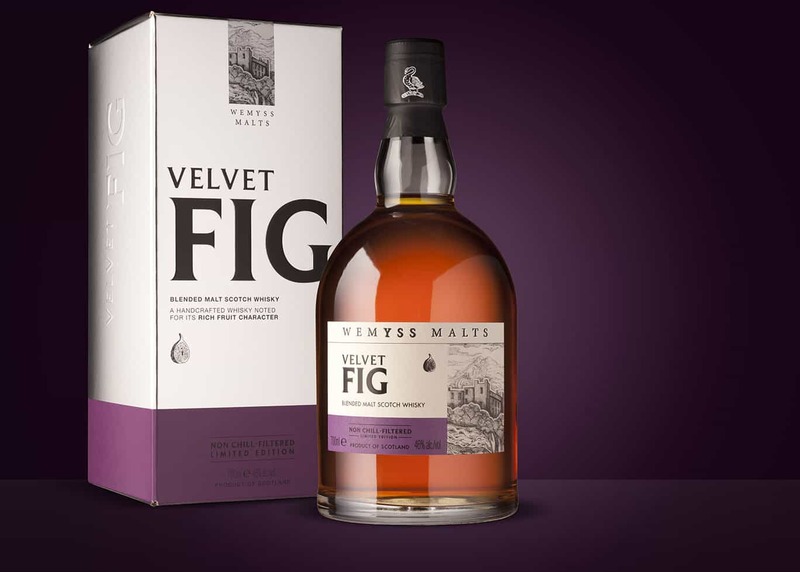 These single malts have been matured wholly in ex-Oloroso sherry casks, so the Velvet Fig is something very consciously aimed at those whisky drinkers who like their sweet sherry finish. The Velvet Fig is bottled at 46% ABV, and you’ll expect to pay a very reasonable £40 a go. Colour: auburn, polished mahogany. On the nose: gosh, that is extraordinarily lovely. You know those posh autumnal, Christmas candles in department stores? Well this isn’t far off. Orange zest and cinnamon, along with heaps of stewed plums and apple pies. And yes, figs. Tomato chutney. There’s a lovely, perfumed quality about it too: if you spilled some down your shirt, you might just about get away with it being mistaken for a boutique aftershave. In the mouth: my word that’s got some sweet clout to it. I’ve been drinking a lot of cask strength whiskies recently and this stands on par with them in terms of how much flavour is packed in. It’s big and chewy, with heaps of dried fruits. Fruitcake, in fact. Hedgerow jam. Lashings of mulled wine. Warming tannins, not too bitter at all. Nutmeg. Ginger. A little wood towards the end. Pepper and cloves. Despite containing no grain whisky, there’s still a lovely texture nonetheless; velvety, you might say. Indeed, this is a very dreamy palette. If you like your sweeter, sherry-cask whiskies – and if you have a soft spot for, say, Dalmore or Glenfarclas – then the Velvet Fig is one of the most exceptional blended whiskies you’ll try this year. At £40 a bottle, it’s good value, very tasty and made for sharing. The Velvet Fig goes on sale this November, which is just in time to slip into Santa’s sack. 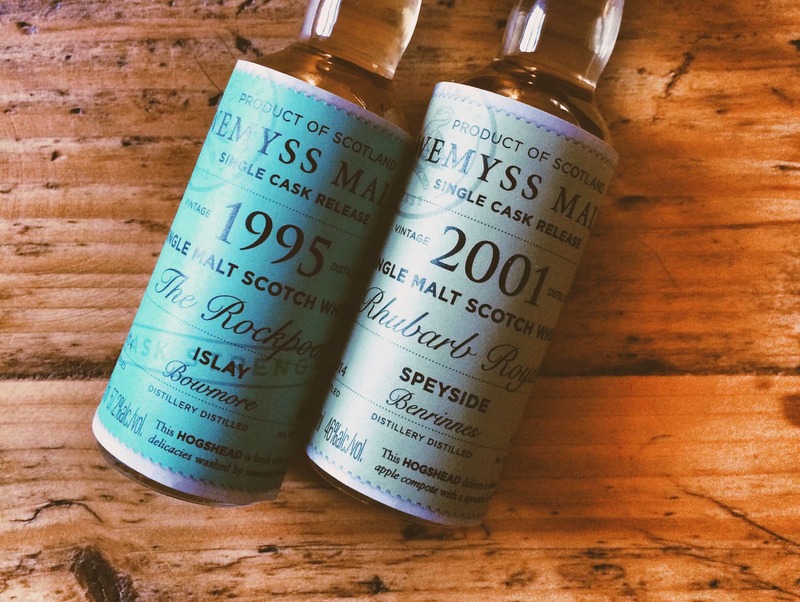 This was a sample provided kindly by Wemyss, but I’ll be putting my money where my mouth is and buying a bottle.